I still remember as a little kid having a bowl of white sugar sitting at the breakfast table. My mom would let us pour a couple of spoonful’s on our cereal (which was usually coated in sugar already) and I still remember my eyeballs twitching a bit after drinking the last bit of milk from the bowl with all the extra sugar in it. Later in the day after running around like a wild child for a few hours I’d get some Kool-Aid with lunch (with extra sugar for taste) and a few cookies for dessert. Add in the candy bar I got an afternoon snack and the ice cream for desert and I must have eaten a bag of sugar a day. Sugar was, and still is, a major part of the American diet. It doesn’t take a fitness professional to realize that most people eat too much sugar. And this problem has seeped into the world of sports as well. In fact, we’re told that without eating sugar while we train we will bonk in record time, unable to continue for lack of fuel. But is this true? Do we as mountain bikers really need to eat sugar every time we ride or train? Or is this over-reliance on sugar unnecessary and actually causing problems? In this new episode of the BikeJames Podcast, I look into what it means to be a Fat Optimized MTB Athlete and why you may want to consider a different approach to fueling your efforts. – Being able to burn fat for fuel is about more than just looking good, it is the key to an endurance athlete’s performance. – The human body is made to prefer using fats for fuel, however we can train it to prefer sugar for fuel. This leads to the need for a constant influx of sugar during training. – Once you have optimized your body to burn fat you’ll no longer need to constantly consume sugar to perform at higher intensities for longer periods of time. This leads to better performance and better health over the long run. Precision Nutrition told me in an interview that any event under 4 hours long shouldn’t require any fuel during the event if you are metabolically optimized. – The idea that you “need” sugar to perform well during an endurance event is a new phenomenon fueled by companies that sell sugar to endurance athletes. There is now a whole industry based on telling you how much sugar to consume and when to consume it, leading to a generation of endurance athletes with metabolic issues and other problems brought on by overconsumption of sugar. – BTW, organic sugar is still sugar to the body and has the same metabolic effects. – At the most basic level, your body uses ATP to power the muscles and heart (which is a muscle). There is a very limited supply of ATP on hand at one time, which means that your body needs to constantly re-supply ATP to the muscles. No ATP = No ability to contract or relax a muscle. – The body has 3 energy systems to do this – ATP/ CP Pathway, Glycolytic Pathway and the Aerobic Pathway. Just to be clear, these 3 pathways are always in use, it is just a matter of where the majority of the energy being produced is coming from. – The ATP/ CP and Glycolytic pathways make up the Anaerobic Energy Systems, which provides energy without the need for oxygen. This pathway uses CP and Glucose for to re-fuel ATP, powering short bursts of hard efforts. It is also not very efficient, delivering only 2 molecules of ATP for every molecule of Glucose used. – Aerobic Energy System is super-efficient, producing 38 molecules of ATP for every molecule of fat used. It both powers easy to moderate efforts and helps the body repay the oxygen debt, i.e. recover, from anaerobic efforts. – Since the name of the game is ATP replenishment then the more the aerobic energy system is contributing the more efficient that replenishment will be. – Another thing to consider is the fuel sources for the 2 systems. – The Anaerobic Energy System uses glucose as its primary fuel source, which is very limited since your body only stores a limited amount of sugar (glycogen and glucose). It is also metabolically “dirty” since it leaves behind a lot of by-products that must be cleaned up. These by-products both require energy to clean up and their build up helps contribute to fatigue. – The Aerobic Energy System uses fat for fuel, which is very plentiful even in lean individuals. It is also metabolically very clean as it leaves behind just a little carbon dioxide and water. – I’m stealing this one from Mark Sisson because it is a great way to think about it. Think of your body as a furnace that burns fuel to create energy. When you use sugar for fuel it is like throwing kerosene into the furnace – it will burn really hot for a short period of time and the system takes on a lot of stress to deal with the extra “heat”. When you use fat for fuel it is like using slow burning coals that create less intense heat but it burns longer and puts much less stress on the pipes and other structures. – So, if you have two energy systems and one is inefficient, limited and creates a lot of metabolic stress and one that is super-efficient, virtually unlimited and creates very little metabolic stress which one would you want to emphasize as an endurance athlete? – Not to romanticize the past but our ancestors did some amazing things without constantly shoving sugar in their face along the way. Roman soldiers would march long distance and have to be ready to set up camp and/ or fight when they got there. Vikings rowed their ships under the same circumstances. Reading the history of guys like Spartacus, Alexander the Great and Hannibal tells me that our ancestors were doing things most of us would consider impossible. A lot of what history tells us we are capable of would be considered a fairy tale if it wasn’t for the sources. Science has limited us as much as it has helped us and this reliance on sugar and limitations on what we are capable of (science said it was impossible to run a sub- 4-minute mile until it was done) are an area I think it is holding us back. – So what do we do? Easy – you train your body to run on fat for fuel and use sugar as little as possible. – We forget that our body gets used to what we train it to do – if we are constantly shoving sugar in our mouth to fuel our efforts from an external source then our body will get used that external source of sugar and start to crave it. If we don’t give our body an external fuel source then it will learn to run on our internal fuel sources, i.e. fat for fuel. – Nutritionally this comes down to limiting sugar intake and trying to wait as long as possible into the day to eat them. – When we wake up in the morning our metabolism is switched over to fat burning mode since we haven’t eaten in several hours. As long as we avoid eating carbs we stay in that fat burning mode so the later into the day you can avoid eating carbs the longer you will stay in that fat burning mode. – With training you want to workout when in fat burning mode and don’t consume sugar when training (this includes training rides). You also want to focus time on low intensity training to increase your fat burning furnaces in the cells known as mitochondria. – By maximizing the time you spend in fat burning mode and forcing your body to learn how to use its own internal fuel sources more efficiently you can perform well without sacrificing your health in the process. – With all of this said, be careful of the Low Carb Rabbit Hole. After hearing all of this a lot of people wonder why you don’t just go low carb all of the time and really focus on this fat burning mode all of the time, even going as far as a ketogenic diet. While this may work for some, mountain biking still requires a strong anaerobic metabolism and carbs can help you recover from and fuel your hard efforts. You just need to limit them as much as you can – don’t find out how much sugar/ carbs you can get away with, find out how few you can eat and still perform well and feel good. – To wrap it up, keep in mind that you can and should be able to go for a 2-4 hour ride without needing to consume a bunch of sugar along the way. 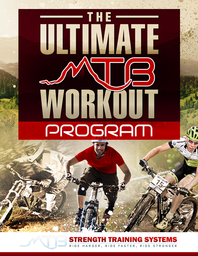 Over-reliance on sugar has metabolic side effects beyond just making it tough to lose fat and with smart training and nutrition strategies you can become a Fat Optimized Mountain Bike Rider and enjoy better performance and health. First and for all excuse me for the writing in englisch because i am a reader from the Netherlands. I have a question about your article. I am a weekend warrior enduro rider and do some strenght training throughout the week. I’ve build a nice beach body and want to maintain that as much as possible and even want to build some more muscle slowly. The story of the fatburning is true when there aren’t soureces of carbs/glycogen availeble but your body will use some muscles too in the process. My goal is to burn as much fat as possible during the enduro rides but want to maintain the muscle mass i have. I was thinking about using BCAA’s during my rides to prevent muscle loss and get the workout fuel from my bodyfat stores. Do you think this is a good aproach to get the best of both worlds ? Research also confirms HMB as a “muscle protector” what’s your opinion on this? This story is based on a good daily diet with plenty of protein/carbs/fats to maintain my bodyweight and have a good energy balance! I consume 0.82 gram per pound protein per day an 25% of my daily calories are fats. Everyting else are carbs. Honestly, I wouldn’t worry about it unless you are going for really long 4+ hour rides. If you focus on consuming a good post workout supplement then you’ll minimize the muscle loss and mountain biking requires more muscle tension than most “endurance” sports and than tension tells muscle to stick around, not waste away. If you find yourself losing muscle mass then look into consuming a carb and protein supplement while riding but I’d wait to see if there is a problem first. As far as HMB, I’m not sure. It has been out for a long time and the jury is still out, which tells me it might not be very effective in real life. I agree with James, it is very unlikely you will burn muscle so long as your not in significant colour deficit. I believe it takes about 36 – 48 hours of complete fasting before your body starts burning any muscles for energy. With exercise, so long as your have not emptied your glycogen stores (being properly fat adapted helps with this) then your body has no need to burn your muscle for energy. Of course to become fat adapted then you need to eat a low carb diet to start with and give your body time to adapt. For long rides with hard efforts, i.e. most prober mountain bike rides then consuming some cards during ride can be helpful as you will use your glycogen stores pretty quick with those hard anaerobic efforts compared to a more aerobic ride. I can now happily go on 3 – 4 hour aerobic (low heart rate) rides with out breakfast or any food in ride without any loss of muscle, but for prober off road I will consume a few carbs during ride to slow down emptying my glycogen stores due to hard anaerobic efforts. Hope that helps. Thanks for the informative ideas on better nutrition. I especially appreciate the details. In your research, have you come across any specific menu recommendations? Specifically, what does a fat-based, no/lowcarb meal plan look like? Thanks again for a great podcast! I’d recommend check out The Wild Diet by Abel James, it has a lot of great recipes that will help you get on the right track. I often go on a run (off road), MUni or mtb ride before breakfast. It works fine for me on rides or runs shorter than two hours. After two hours I get really dizzy. But that also happens if I do a two hour ride at the end of the day. I don’t really mind, I like shorter blasts best. Especially in the morning when I come back home (even after a one hour ride or run) my girlfriend says I stink like ammonia which is a sign that apparently I’ve been burning protein instead of fat because the intensity was too high. I don’t see it as a big problem as I expect the body will probably fix whatever it just demolished for fuel. But regardless, it is not exclusively burning fat. How should I fix that? I’m not out riding to take it easy, I like to push myself. Once you push past a certain intensity level then you will start to burn more than fats as your primary fuel sources so if you are pushing yourself I wouldn’t worry about what is being burned, just have fun. If you are trying to focus on improving the fat burning machinery then sticking with a low intensity run is the best idea. Thanks James. Is burning protein (muscle tissue probably) as much of an issue as many people say it is or not quite? My idea was that when training, you’re damaging your muscles anyway and your body is supposed to fix that when you rest up, supercompensate. So it wouldn’t be much of an issue if during the ride the damaged tissue is being burnt or just sits there. But I have never studied this material. What is your opinion on this? I expect proper strength training (kettlebell stuff etc) to be mostly about burning fat. Is it? Of course you’re building up lactic acid so that’d mean part of the exercise is still anaerobic. Would that mean that the body would still be calling for carbohydrates and if these are unavailable, go for protein instead. That doesn’t seem ideal when you’re doing strength training. What is opinion on this? I think that the human organism is too complex to break things down to such a simplistic level. You will always burn some muscle tissue, even at rest and it gets overblown, especially by the bodybuilding side of the fitness media which still strongly influences all fitness media. I’d wait until there was a problem before trying to solve it, just train smart and eat smart and usually everything takes care of itself. If it isn’t then you can look for strategies for your specific problem but you can go crazy trying to anticipate every variable and account for it. And if were talking health despite sugar and carbs in general being demonized of late, I’d be more worried about the increased chance of diabetes (high carb diet being the only diet proven to reverse type 2), heart disease and cancer that come from getting more of your calories from fat(www.nutrionfacts.org). I think calling fat a ‘clean’ source of energy is pretty misleading. Nature provides us a perfect ratio of carbs/fats/protein we don’t need to overthink it! Seriously, is Americas healthcare crisis down to people eating 80/10/10 or the absolute proliferation of fats in everything they consume? Each to their own but I feel and perform great running on carbs and really would worry about having to increase my fat intake. Blue zone cultures (and I suspect the Roman soldiers and Vikings you speak about) live on simple easy to find carb souces in nature, if its good enough for them its good enough for me. Just my opinion and experience anyway, thanks for sharing yours and all the great advice! This is where things get confusing because for the science is confusing and often contradictory. If you look at it, though, most of the studies showing that high carb supplements improve performance were funded by companies that sell those supplements. Some of the best endurance athletes in the world now use a fat-optimized approach – including Mark Allen, one of the best tri-athelte of all time – and an over consumption of carbs has also been linked to all of those diseases you mentioned. I’m talking more about the use of sugar supplements to fuel a short ride or workout and not considering a fat-optimized approach. I don’t think it is the best for everyone and all athletes but it is worth considering and much more successful and less dangerous than we have been led to believe. Check out any of Phil Maffetone’s work and the Primal Endurance Blueprint to get some insights into the other side of the story. Yeah that’s not true at all. You’re right, it isn’t. I’m not sure if that was said in the podcast but I don’t think I made that statement. Hi James, sorry that was a reply to Si not you. I don’t agree with anything that guy said but that point was a major one. Right on, that makes sense, thanks for clarifying that. I was a little confused about that which is why I had to clarify if I said it, sometimes I say things that I forget but I was pretty sure that wasn’t one of them. Where does all this square with super-high intensity sports like CX or short-course XCMTB? What are the energy pathways when you are 30-60 minutes on a CX course at max output? Assuming you are metabolically fit as you describe at the start – is there any performance enhancement to sugar/carb based supplements just prior to the race instead of relying on the aerobic energy pathway? Is there any evidence that a shot block or other sugar source 10-15 minutes prior to these all-out efforts allows the body to have more glucose to convert (even if it is less efficient and dirtier) than not? You certainly don’t want to have low blood suger before starting a race like that but you have to remember that even a 30-60 minute “sprint” is still going to be be a mainly aerobic event. The demands on the anaerobic systems will be more than on a 4 hour ride but anything over a few minutes is technically aerobic as the mojority of the fuel is going to have to come from fat. The idea is the metabolically flexible and able to use both energy systems. The problem is that a lot of riders over-rely on sugar to fuel the body when it can and should be able to draw on it’s own reserves as well.